History! Industry! Art! Buttons! Phew… I’m MattaTuckered Out. The Mattatuck is a Conneticut Art Trail site. 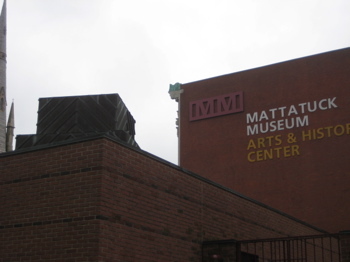 I’ve procrastinated writing about the Mattatuck for all the right reasons: It’s huge, it’s excellent and it’s more or less four museums in one. There is just simply too much to write about – and the folks that work there are just too nice for me to not do at least a good job on this page. And to think, all this is in Waterbury. I say that because Waterbury is one of our cities that gets the worst rap. Right up there with Bridgeport and Hartford. 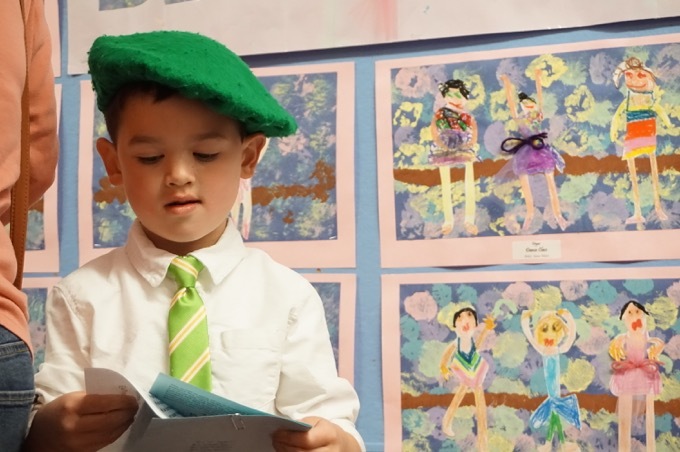 But I’d wager that most people know about the Beardsley Zoo and Barnum Museum in Bridgeport and the various cultural touchpoints in Hartford I hope. But Waterbury has always been just sort of “blah” from my experience. After all, the city is known locally as The Dirty Water. And that’s just part of the first floor! There is also the small Community Gallery and some art displays. 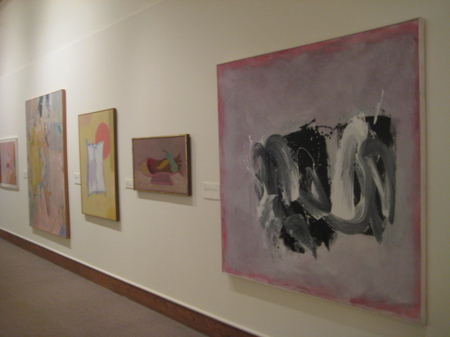 Once up to the second floor, you’ll find an excellent Connecticut-centric art gallery in which the Mattatuck displays works from its collection of over 2000 paintings. I love the fact that almost every artist shown lived in Connecticut at some point. 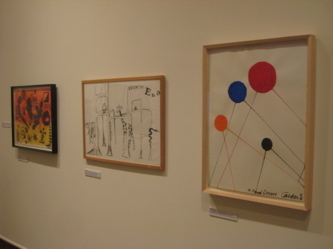 You’ll be amazed at some of the Hudson River School stuff and even the 20th Century Gallery which (of course) features local boy Alexander Calder, but some others you may not be so familiar with. And lastly, the third floor of the building contains another museum! I know, that’s the coolest thing ever, right? 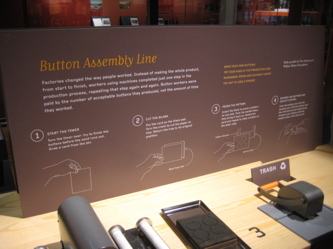 Indeed; the Waterbury Button Museum occupies a small room up on the third floor of the Mattatuck. Here’s my visit to it. 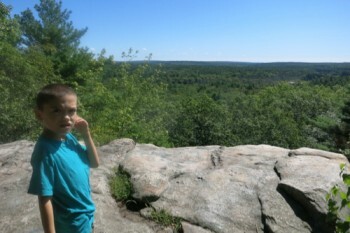 I should also note that my photo shoot for a Connecticut Magazine feature took place up there as well, as you can see in the strikingly handsome picture here. But let’s start from the ground up. I went on a summer Sunday and I think they ran a program then wherein visits were free on summer Sundays. Or at least half-off admission, I forget. Whatever it was, it was a good deal. In fact, paying full price for the Mattatuck is still a good deal. I started off in the Community Gallery. It appears the museum changes up the exhibits in here about 3 times per year and some appeal to me whereas some simply don’t. 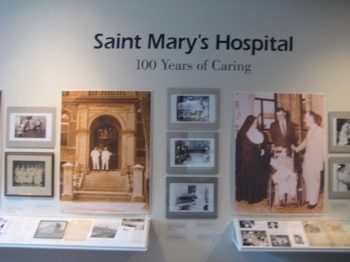 Not being elderly and not being from Waterbury, the exhibit during my visit didn’t quite do it for me: Saint Mary’s Hospital, 100 Years of Caring. 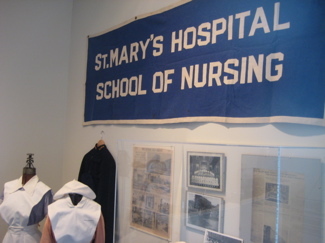 In 1909, St. Mary’s Hospital admitted their first patients by horse-drawn ambulance, fulfilling the vision of establishing a hospital within the industrial core of Waterbury. 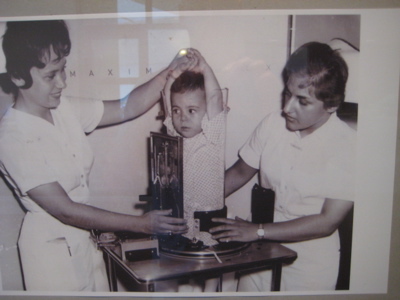 Since that time the hospital has played a vital role in providing medical care to residents. The story of charity and care was told through old medical equipment, historic photographs and archives. I think it’s cool that towns pay homage to their hospitals. After all, what’s more vital to a town’s health than its hospitals. 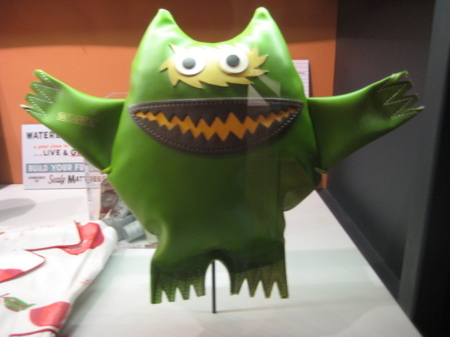 And as I poked around the exhibit, I saw some fairly interesting things. (I should note that the Mattatuck is great with the literature. I have about 6 brochures from my visit, each one targeted to a specific section of the museum. On top of that, they have an excellent and professionally done website as well, which is very helpful.) The whole history of the Catholic hospital was laid out. The only truly interesting part (to me) was that one Monsignor Slocum shelled out ten grand of his own money to get the thing going. Slocum, who wanted this place full of cutting edge medical equipment and care, was pastor of the Church of the Immaculate Conception in Waterbury. Hm. I wonder if any of the good doctors could explain immaculate conception to me. 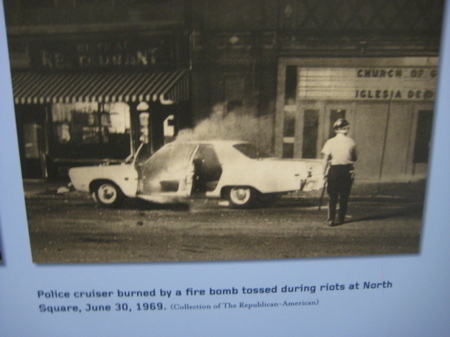 Anyway, disregarding that, the exhibit had some great historic photos on display. It’s simply astounding how far medical advancements have come in 100 years – and exciting to think of where they’ll be in 100 more. Pictures of iron lungs and this one here, to the left of a “blood cupping set” are a bit disconcerting. “Cupping” is an old idea that supposedly brings “fresh blood” to an area of the body – for what reason I have no idea. It should come as no surprise that various idiots still “cup” today because… people did it in Asia a long time ago? I don’t know. Ask Gwyneth Paltrow. 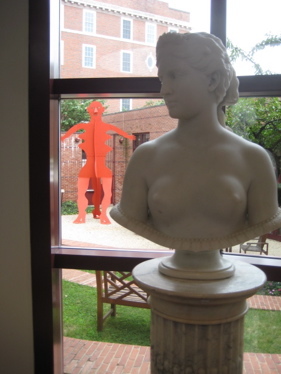 On the way to the main first floor exhibit, I passed a little courtyard with some sculptures but the doors were locked. Besides, it was raining and gross out anyway. And why would I want to go outside when I this inside? 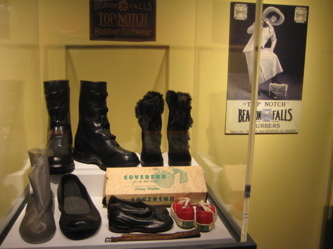 As I’ve mentioned, the first floor of the museum is dedicated to Waterbury’s and the surrounding area’s history. 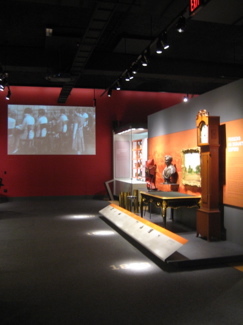 As with all town history museums, this starts with the native Americans who lived in the area to the Colonialists to the Industrial Revolution and the Civil War and other defining moments in any town’s history. But the Mattatuck does this in a unique and very interesting way. They’ve incorporated a bunch of bells and whistles and cutting edge technology. But – and this is a big but – they don’t overdo it and it never takes away from what they are trying to show you from Waterbury’s history. This is a very hard line to tow and not cross. It’s obvious the museum got a massive grant at some point and spent a lot of money on this stuff. I’ve seen it go all wrong too and when it does, it’s incredibly aggravating. Technology is great; I love it. But when I want to learn about how Waterbury became the leading brass manufacturing town in America, I don’t need holograms telling me to zap touchscreen kiosks with laser guns to do so. Well done, Mattatuck. Waterbury began pretty much like all New England towns began. A small band of families ventured out from an existing settlement (in Waterbury’s case, it was Farmington) and set up shop near a water source (in Waterbury’s case, it was the Naugatuck and Mill Rivers). They built their modest homes around a central green and of course the church. After the town was settled they had to do something to get on with life. The theme of what I gleaned from the last 18th century was that of medical issues in town. One, the museum displayed the ol’ Pest House door from back when they quarantined those with Smallpox out in the woods in a “comfortable” jail-like setting in order to die alone and cold. 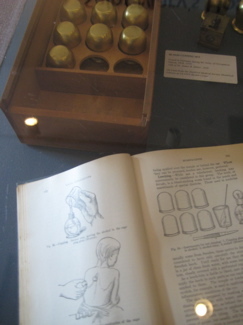 To put this story in context, display explains that the late 1700’s was a time of massive change in the world of medicine. We were just getting over the traditions against studying anatomy and moving towards a more scientific approach to human physiology and care. Dr. Porter was on the cutting edge of this revolution. It was illegal to practice dissection in the United States before 1834, and remained illegal in most states until the 1870s, although Massachusetts permitted the dissection of an executed criminal for medical study once every four years. Therefore, obtaining cadavers for medical study was difficult. Grave robbing by medical students led to riots in New York in the 1780s and in New Haven in 1824; Connecticut officially prohibited grave robbing for medical dissection in 1810. Throughout the nineteenth century, cadavers for medical studies were taken disproportionately from the less powerful members of society: slaves, servants, the indigent and the imprisoned. Dr. Porter passed the skeleton down to his son who kept it in good condition and it ultimately was given to the museum in the early 20th century. 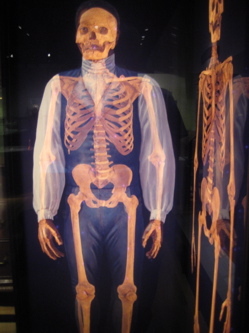 In 2003, the museum used the bones to reconstruct what Fortune looked like and created the permanent exhibit about him, which I found really very fascinating. From there, the Mattatuck delves into Waterbury’s hugely important industrial past (and to a much smaller extent, present.) Waterbury is known as the Brass City in these parts and for good reason. The Naugatuck Valley, and specifically Waterbury, was THE Brass manufacturing capital of not just early America, but the world for a while. This didn’t happen overnight, as it took some of Waterbury’s finest politicians and businessmen to convince congress in 1830 to levy a hefty 35% tariff on British brass imports. This allowed the Valley to get going and ultimately to thrive, inviting some of England’s finest brass workers over here as well. One guy, Israel Holmes, would go over to England, steal trade secrets AND (willing) men AND equipment and risk arrest (all this was quite illegal at the time) in order to build Waterbury’s industry. As we now know, it worked beautifully. Holmes went on to great success with his own brass and clock company in Bristol. By 1840, Waterbury and the surrounding valley had become America’s brass center. It only grew from there as local inventors came up with more and more uses for brass products. Waterbury grew to be a city of over 100,000 residents, most tied in some way to the brass industry. By the 1920’s, the industry was massive. So massive, that absurdly massive global copper mining corporations bought into the local companies. 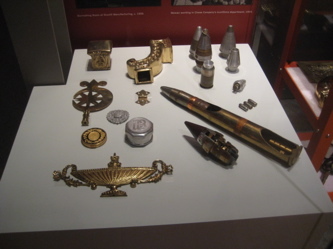 And as all of you who watched Ken Burns’ World War II documentary know, Waterbury supplied brass shell casings and converted many assembly lines and factories to the war effort. But as with most northeastern cities built upon single industries, Waterbury’s affluent and productive past has shriveled up to a large degree. The brass folks hung on for a while and converted machines that made shell casings to make things like lipstick containers, but cheaper product from foreign competition doomed the town’s brassworks. To the Mattatuck’s credit, they explore how the world changed and the brass mills went out of business. There is also some exploration of how that adversely affected Waterbury which, while sad, was still refreshing to see acknowledged in a way. But let’s back up a bit. 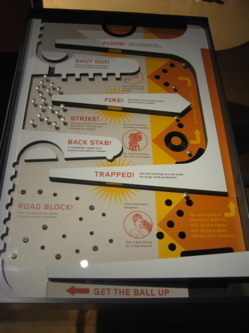 Why was there a need to invent fake rubber in, of all places, Naugatuck, Connecticut? Aha! Now you’re hooked. Because I know you’ve heard of Charles Goodyear. Yes, that Goodyear. Well, he was from New Haven. After a stint in Philadelphia, he moved back to Connecticut to… you got it, Naugatuck. But then he moved away again and ultimately invented vulcanization, and really didn’t have much more to do with the area. That’s Goodyear’s bust by the way. As you can imagine, with the industry centered in the valley and Goodyear’s nutmeg ties, rubber production skyrocketed in the 19th century. Of course, with all this brass and rubber and ceramic (I didn’t talk about that, but it was big here too) production, the Naugatuck River became an environmental nightmare. Again, the museum doesn’t shy away from that ugly past either. 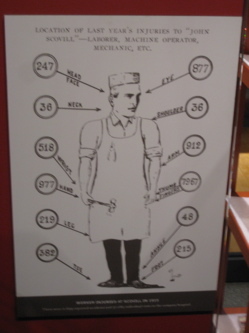 They also explore the life and injuries of a typical factory worker in the late 19th century. That was fun. I’m pretty sure all this town and industry history stuff is permanently displayed. 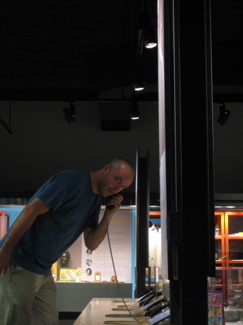 For a larger town like Waterbury, with as rich and important an industrial past, it takes a really good museum to tell the full story without getting bogged down in details. Hats off again to the Mattatuck. 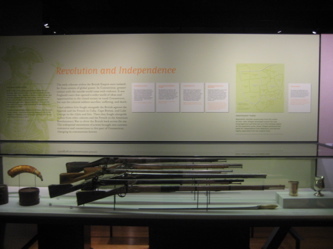 Moving on, there is a whole other section on this first floor with an exhibit that carries the history of Waterbury through the present day. This is certainly unique for a town history museum, but I really liked it. Remember back in school how you’d learn our colonial history and then the Civil War and then the massive growth of the country and then WWI and maybe touch on WWII but then nothing after that, as if The 1950’s onward had no impact? I always hated that. The Mattatuck doesn’t have this problem. They take Waterbury right up through the urban upheaval of the 60’s and 70’s where Waterbury apparently suffered mightily. The exhibit continues through the suburbanization of the 80’s and housing boom of the 00’s. There was a super modern super cool touch table computer thing where I acted like mayor and town planner moving buildings and budgets all around. 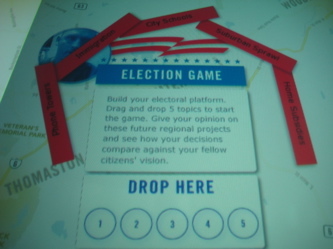 There was an “election machine” type electronic map thing showing how the local political landscape affects the surrounding towns. Perhaps this is some cheeky way to excuse the despair Waterbury is going through? They even have explanations of the town’s string of infamously corrupt politicians, though I don’t recall seeing Waterbury’s own former Governor John Rowland who spent some time in jail for his misdeeds while in office. I have to mention the display featuring some of Waterbury’s “famous sons and daughters.” I hadn’t heard of a single one of the featured people – from Chief Two Moon, an “Indian” snake oil salesman who was apparently famous in the early 20th century to Candy LaChance who played for Boston in the 1903 World Series to Joan Joyce, a member of the US Softball Hall of Fame. Sharp readers will remember that Joan Joyce piqued my curiosity at the Fairfield County Sports Hall of Fame. (CTMQ Visit here) where she is an inductee. But Waterbury’s not in Fairfield County. I guess she moved – but she is an amazing, amazing woman. But where was Bob Crane of Hogan’s Heroes fame?! He is enshrined in the Waterbury Hall of Fame (along with the aforementioned John Rowland). I saw it with my own eyes at the Howland-Hughes building, a place you really should visit when in town for it also houses the Connecticut Store (CTMQ Visit here). But backing up a moment… There’s sort of a joke in Connecticut that Waterbury has a long tradition of corruption. 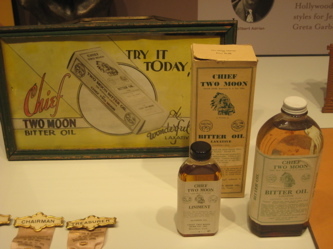 I’ve noted a few already but I just looked up ol’ Chief Two Moon. Turns out, he fit right into Waterbury: He wasn’t an Indian (despite insisting he was) and get this, on May 3, 1932, Meridas was indicted and later convicted of practicing medicine without a license in New York and Connecticut. This was after he went to Rome and hung out with the Pope. So what did the fake Chief do? 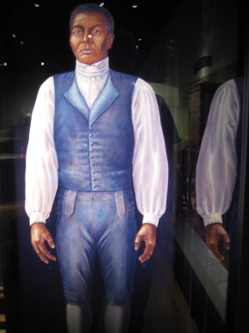 He brought 26 Sioux to Waterbury to speak for his defense, some of whom stated that they had taken part of the Battle of the Little Big Horn. Okay. Whatever. Then they later celebrated at Meridas’ Connecticut estate. I love Waterbury. Okay, I think we’re done with Waterbury’s history. Let’s go upstairs to see what makes the Mattatuck heads and tails better than other town history museums: The entire second floor is one of the top 10 or art collections in the state. Granted, they maybe just squeak into that top 10, but still, it’s impressive. 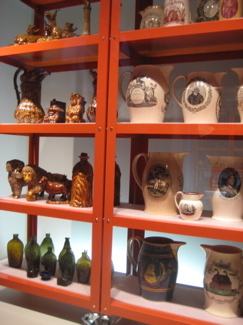 And in fact, since a huge percentage of their collection is by Connecticut artists, this may be my favorite collection in the state after all. If I remember correctly (it’s been a while), there are three sections of the art floor. 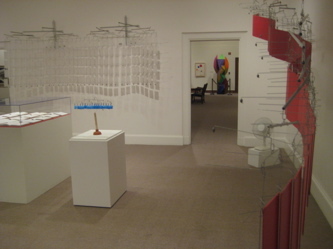 One is The Harris Whittemore Gallery and showcases three different exhibitions each year. While I was there, two contemporary artists were featured. They were the harmonious and measured kinetic sculptures of Tim Prentice set beside the vividly colored and exuberant paintings of Danielle Mailer. Their works demonstrated contrasting approaches to art-making—minimalism and expressive naturalism. Guess which one I totally dug and which one I pretty much ignored? Tim Prentice’s stuff is cool. 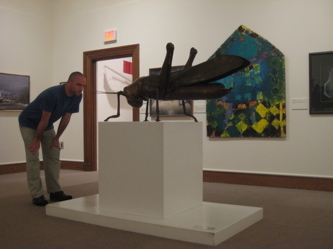 In fact, he has a very large sculpture permanently installed in the Connecticut Science Center’s atrium. 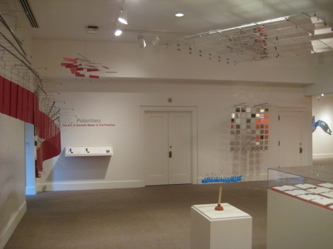 Smaller kinetic sculptures were featured during my visit. The very detailed brochure I picked up during my visit tells me that Prentice was trained as an architect. Makes sense. He sculptures require the subtlest of air current; from ventilation systems or merely people walking by. Failing that, the Mattatuck had a small fan oscillating nearby. Mailer’s work was just brightly colored and patterned stuff. Not for me. Moving on to the largest gallery, the real meat of the art floor, I was amazed at the diversity of the collection of Connecticut artists. The gallery is very large and not nearly as austere as most art galleries. It’s homey and comforting. It also helped that I was (sadly, actually) all along on the whole second floor. 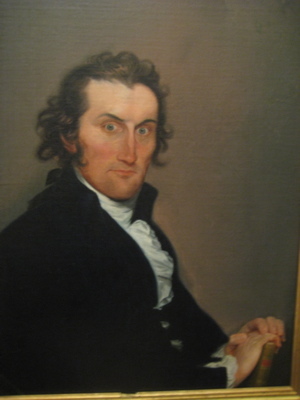 This creepy guy is Lemuel Hopkins, a doctor from Naugatuck who had a penchant for limericks. Of course he did. 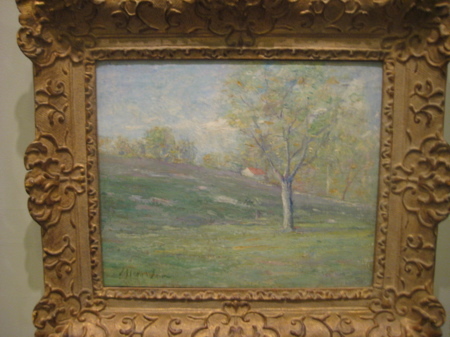 by J. Alden Weir, one of America’s top impressionists. His house/studio/land is now a museum out in western Connecticut. 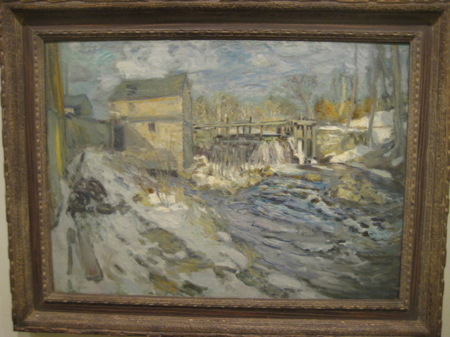 Each painting here had a nice explanation of its painter and his or her connection to Connecticut. There was a nice brief overview of the Hudson River School of painters and a story on local impressionists, like J. Alden Weir. I can’t recommend this place enough. And the cherry on top is the 20th Century Gallery. Of course there is a whole side devoted to local artist legend Alexander Calder (lived in Roxbury), but the Mattatuck doesn’t stop there. 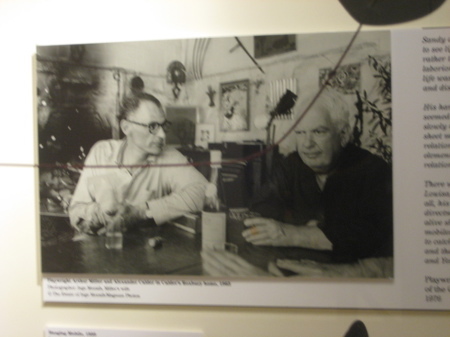 I should take a moment to discuss Calder – especially since he doesn’t have a museum devoted to him in Roxbury. But like I said, there are other local artists from more recent times worth noting. If you read all this – congrats, I’ll buy you a CASE of beer – you could tell I sort of rushed it here at the end. But I never write too much about art, as I’m simply not qualified. 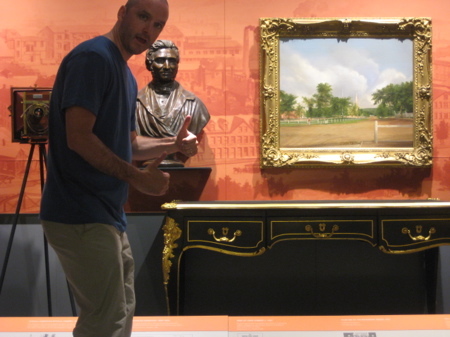 I AM qualified though to tell you how great the Mattatuck’s collection is – and how they present it. 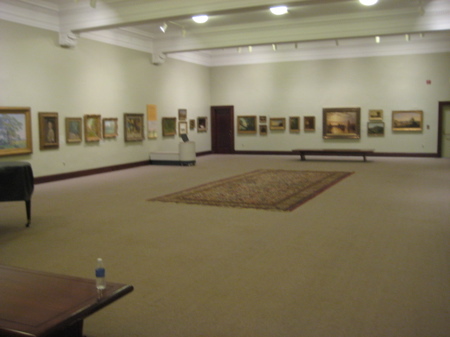 The three separate rooms and really give it the air of a more well-known art museum. 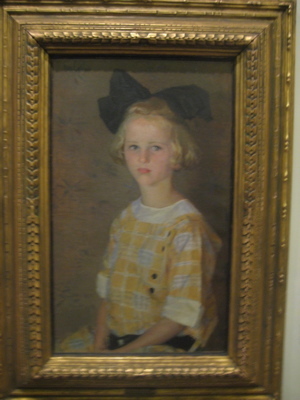 The attention given to 20th century artists is refreshing. As you can tell, I loved the Mattatuck. Both floors and every different theme and style they’ve employed throughout. 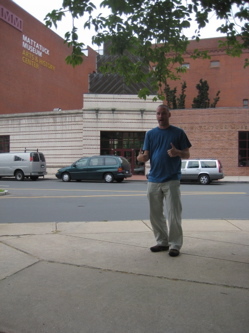 I didn’t even mention the kid-friendly activities throughout the joint or the amazing Waterbury Architecture tours offered from the museum. So please, never ever tell me Waterbury is the worst. They have this place and that alone makes it a very, very worthy city. Thanks so much for this page. I grew up in Waterbury, (was born at St. Mary’s), and despite its reputation and decline in the last few decades, still have a fondness for it. I’ve lived in the Phoenix area for about 10 years now, but hope to move back to Connecticut one day. Whenever I’m feeling nostalgic I’ll pull up your site and read a few entries. I enjoyed this one a lot.